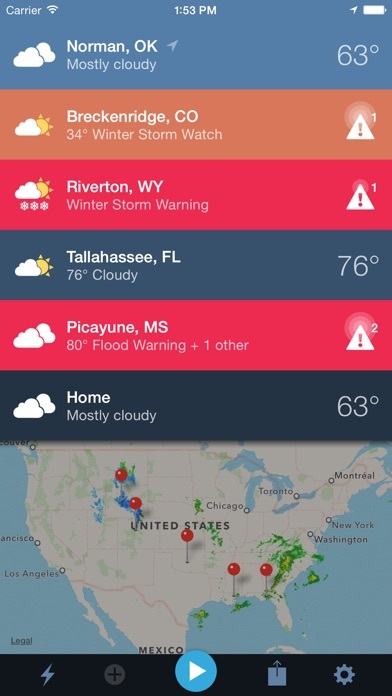 Weather Radio by WDT App Data & Review - Weather - Apps Rankings! The applications Weather Radio by WDT was published in the category Weather on 2011-03-31 and was developed by Weather Decision Technologies, Inc.. The file size is 21.91 MB. The current version is 3.0.5 and works well on 7.0 and high ios versions. Do you like Weather Radio by WDT applications? Please share! This was once a great app. 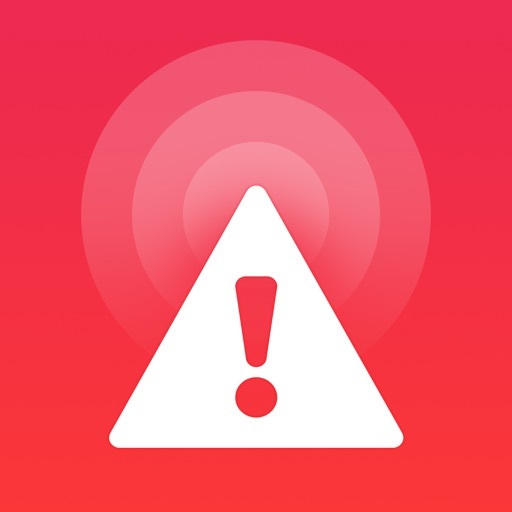 The app allows for marking small areas for alerts, meaning that alerts are more accurate than say, a watch/warning across the county/parish. As of this review, the app hasn’t been updated in 3+ years. It badly stands in need of larger phone support (last update was for iPhone 6 & 6+). Also, it has no cloud syncing of locations, meaning that I have to set all of my locations Spears Rey for each device and redo them every time I get a new device. These seem to be fairly standard features in most apps now days, but they haven’t updated in over 3 years. What a shame! The app hasn’t been updated in a year. With the newer iPhones there is a weird line issue that happens when the location animation happens when switching locations a. This app was the best when it first came out but it appears the developer has ceased production or it’s not important at this time. 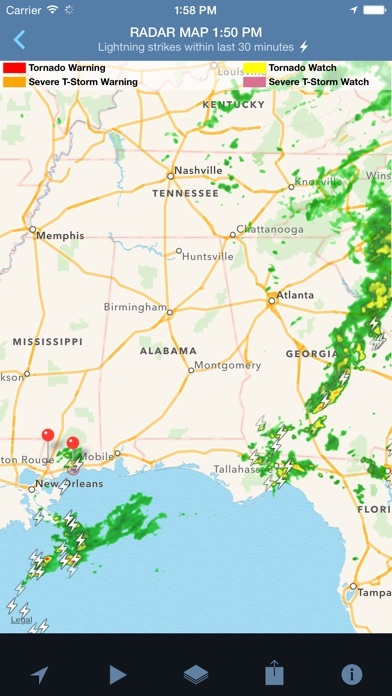 This app and RadarScope are great apps. They both do exactly what they claim to do. While this app holds strong for background use, the actual app itself is sorely needing an update. No update in 2 years to an expensive app is not okay with me. I’ve told people to purchase this many times but now I’m starting to wonder if it’s been abandoned and I should stop recommending it. The audible text of what is being issued, and the immediate timing of the notification is wonderful and isn’t found in most other apps. But, I can’t keep telling people to pay so much for an app that isn’t getting updated. This has now been abandoned by the developers. Not thrilled that I had previously purchased the app but when I got a new phone using a family account, it forced me to repurchase. Then when I tried to get the charge taken off, Apple says this item is not eligible for a refund. Kind of bush-league. I have been using this app since Ver 1.2 and as Apple has moved on with iOS updates it seems that the developer WDT has left this what used to be an awesome app... abandoned. Many are on iOS 12 and since the release if iOS 11 the app UI is buggy and notifications are very delayed if you get them. Developers at WDT have said an update was coming soon for nearly a year. 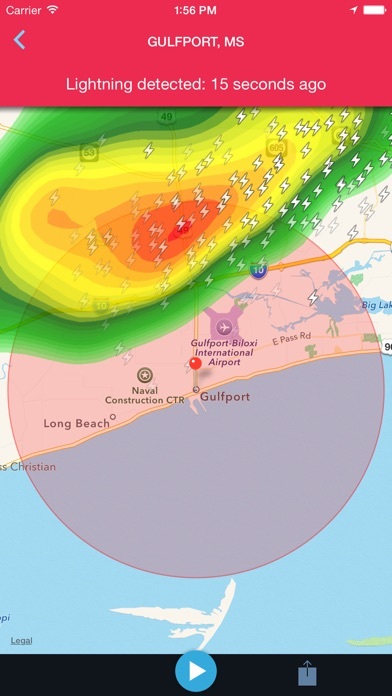 I’ve moved on to Storm Shield where a plethora of notifications are available and deleted Weather Radio. 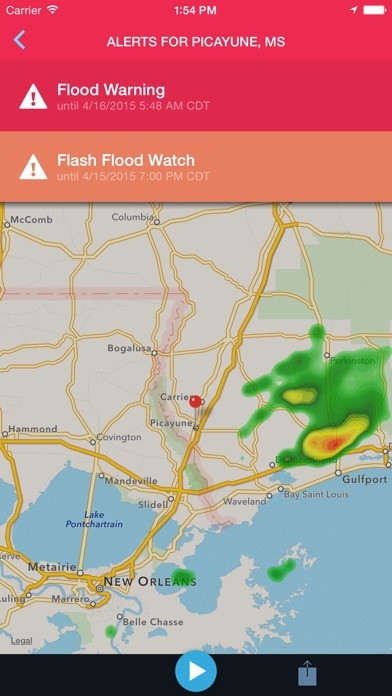 While this app still works and still notifies me of lightning strikes, it’s in bad need of an update. If WDT doesn’t update it for the iPhone X screen then I’ll move to another lightning detection app. 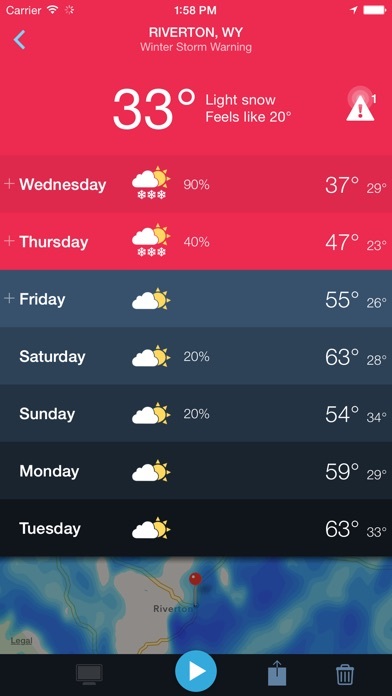 DEVELOPER Weather Decision Technologies, Inc.